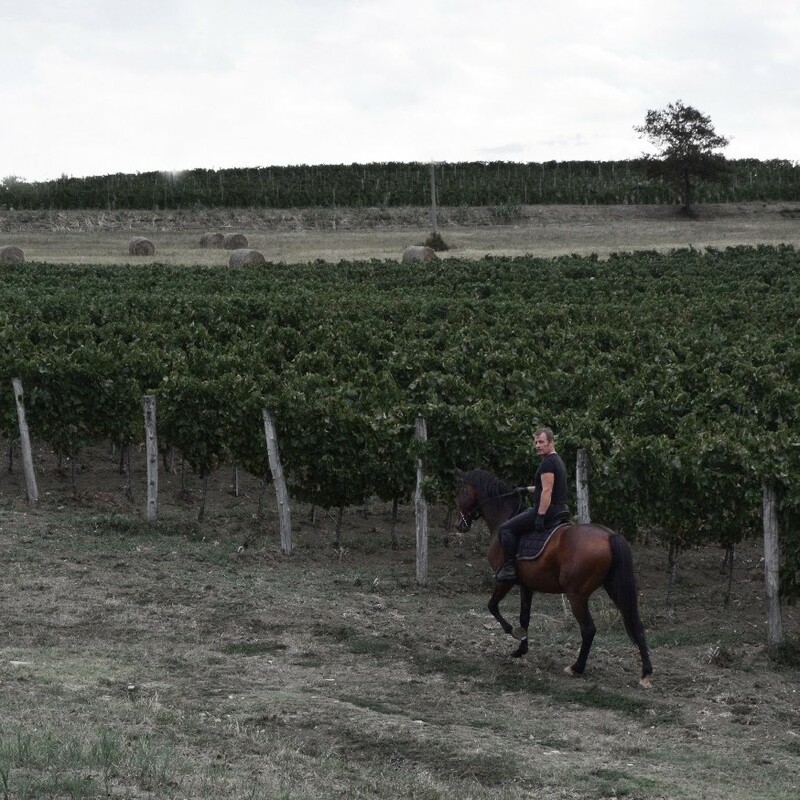 Franković from central Istria to Buje, did not endanger the father’s love for the vine and the passion for wine production. Moreover, a new place of life and the choice of land in a carefully selected, unusually gentle place called Santa Lucia, with a winning combination of limestone and clay, represented a beginning of a new wine story with old roots and stalk, through which flows the experience of informal wisdom, formal agronomic education and the experience of running large wine facilities. Additionally, the younger family generation, who support this widening wine story, by internal engagement and by choosing the winery education, proves the proverb that the grapes do not fall far away from the grapes. Beside the love for vine, another love of Josip Franković has influenced the story of his family. It is the passion for horses and riding which has been inherited by his father. The passion is present in the logo, as well as the vine, and can be found in some wine names. The symbolism of the horse, which represents the inner strength, vitality and the overcoming of life’s barriers, in this story stops being a symbol and becomes a complement of the human and nature cooperation.